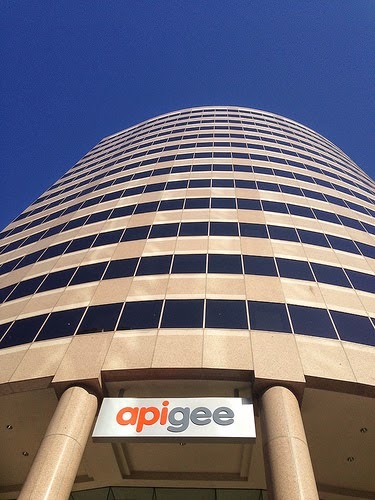 Downtown San Jose company Apigee has officially filed for an IPO (they will be trading under the Nasdaq ticker "APIC"). The company makes tools to manage and support APIs (Application Program Interfaces). They are the fifth-fastest growing tech company in North America and currently have a valuation of over $700 million. In 2014 they moved from Palo Alto to Downtown San Jose, a big win for our city that is only made more significant by this IPO. Hopefully, Apigee employees will use some of their new riches to contribute to the local community. "Hopefully, Apigee employees will use some of their new riches to contribute to the local community." Why is Silicon Valley so ugly? It's streets are amongst the ugliest in the Nation. Road's go from 6 lanes to 2 lanes, 4 lanes, then back to 6 or 4 lanes. Our streets are dark with no lighting. If there's so many High tech companies and a cluster of the highest high tech company withing a zone. Why can't we be like Dubai? We all pay taxes and housing is very expensive. Everything is. Why can't we live better in comfort? Where is all of money going? Could not agree more on your comment about lighting, how has this been overlooked? Downtown San Jose is in the dark. Visitors stay at the Fairmont Hotel, if they walk out on First St after dark and look North they see a very dark street - it's the opposite of welcoming. The President of the PBID is famous for saying that Downtown San Jose can be as clean as Disneyland, I don't agree with that, but I think it can be as well lit.